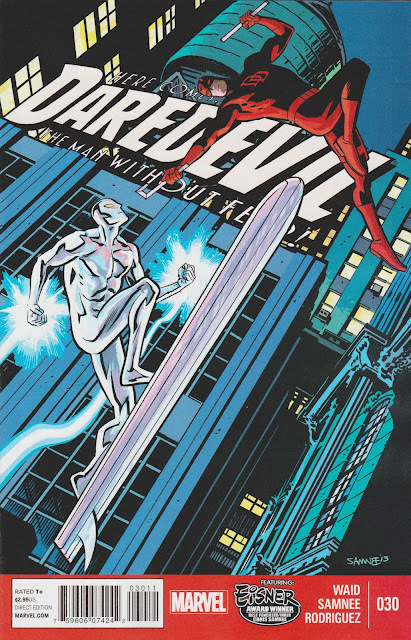 Daredevil #30 by Chris Samnee & Javier Rodriguez. This cover was the clear winner this week as much for Samnee's fantastic art as it was for Rodriguez' superb colours. This is the first time in a long time that the Silver Surfer has looked that metallic, and Rodriguez pulls it off by using simple flat colours reflected on the skin of Galactus' former herald. The pinks from Daredevil's red suit, the blues and purples from the cityscape and night sky - it's a thing of beauty. All of that is injected into a great, energy-filled cover by Samnee. If this cover doesn't scream at you to pick it up off the shelf, I'm worried about you. This one is courtesy of your noticeably less friendly neighbourhood Superior Spider-Man in Nova #7 doing his best to mentor the young hero. 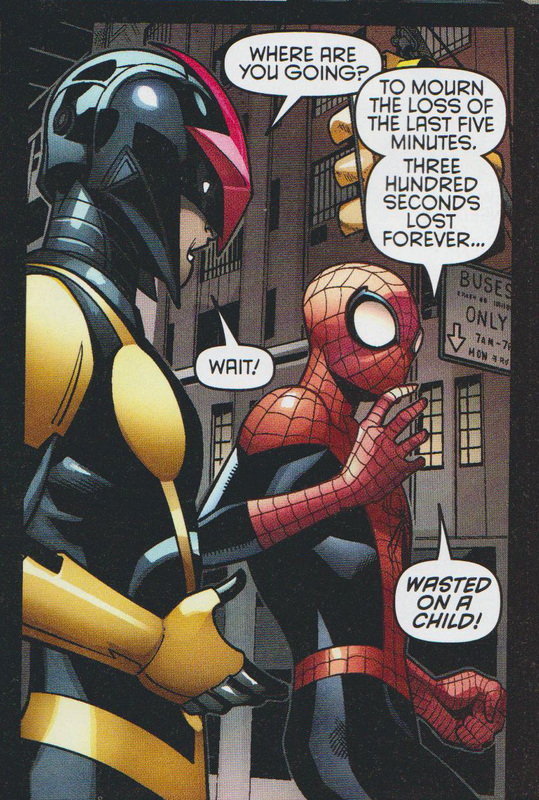 This line just about sums up the "Superior" Spider-Man. Impatient, insolent, yet still able to draw out a chuckle from the reader at least as well as his "Amazing" predecessor. **Full disclosure - had Savage Dragon #190 actually been this week and not last, it would have been in this spot. I had a tough time not going with best cover winner Daredevil on this one as well, but Hickman & Yu are a tough combo to beat in their own right. 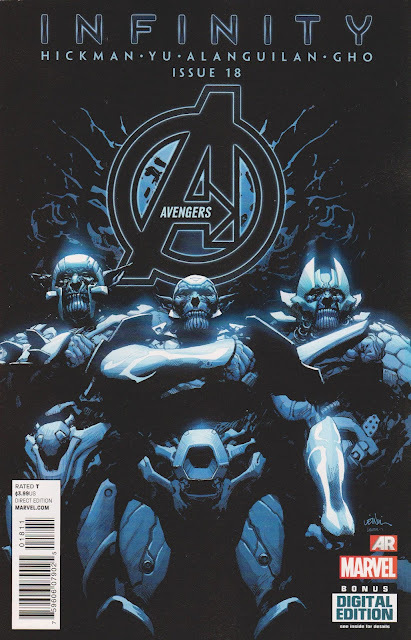 This Infinity tie-in follows the exact same formula as the main event title, which shouldn't come as a big surprise being that they're both written by Jonathan Hickman (who will also be penning the New Avengers tie-ins). Although Hickman deems this book to be optional reading, it's pretty obvious that it's an integral part of the story he's laid out. The epic scale of the battle that goes on between the covers of this issue is paced nicely, and divided into manageable chunks thanks to Hickman's signature chapter-style writing; which both allows for a dramatic pause, and indicates a shift in the story's pace or location. Leinil Yu's pencils, finished by Gerry Alanguilan's inks are everything you've come to expect from them - figures are strong, emotions conveyed well through posture and expression, and the action is huge. I hate getting sucked into buying tie-ins to these big events, but this book reads more like Infinity #1.5 than it does Avengers #18, so I'm on board for full experience as Hickman intended it.